Michael Greene is a Central New York native and a graduate of the Industrial & Labor Relations School at Cornell University. After college, Michael moved to the New York City area and began his career in public service by working for the Port Authority of NY & NJ. While working at the Port Authority, Michael went to night school at CUNY-Baruch where he earned an MBA in Entrepreneurship. After earning his MBA, Michael became an Assistant Vice President for New York City Economic Development Corporation. In that role, he managed city owned properties with the goal of both creating jobs for local residents as well as generating revenue for the city. 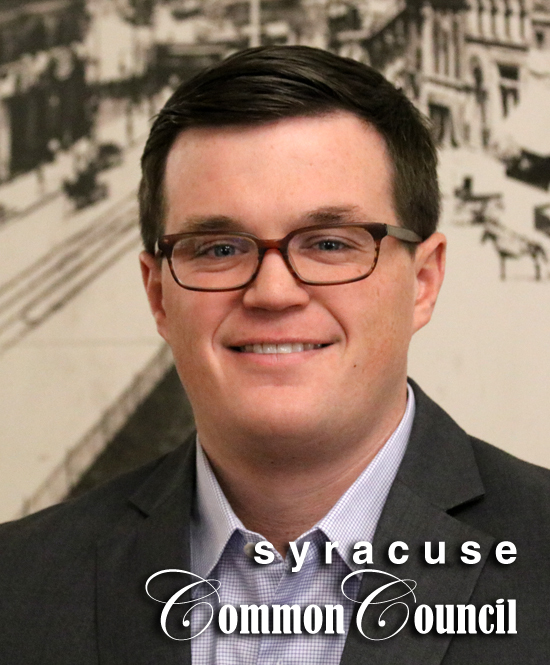 Michael then moved home to Syracuse where he currently manages commercial office buildings. He lives in Armory Square with his wife, Emily, and his dog, Kip.